Thunderstruck was hailed as a cult classic but when news of its successor was announced, many a punter were sceptical about the follow-up pokie. However, their trepidation soon became praise as Thunderstruck II Pokie barrelled its way to the number one spot thanks to its fantastic visuals, majestic extra features and out of this world gameplay. Thunderstruck II Pokie still predominantly revolves around Thor, the mighty Norse god of thunder, epic journey through the legendary realm of Asgard. Although now a number of mythological figures also make an appearance in Thunderstruck II. You can look forward to chance encounters with the beautiful Valkyrie – who has the final say about who dies in battle, Loci the god of mischief and Odin the grand old ruler of Asgard. We’ve already made reference to the extra features that made this gaming title truly excel but a thorough examination of all the great features is required to really give you an idea of what you’re dealing with. The 243-Ways-to-Win, Thunderstruck II boasts the following features: Wilds and expanding Wilds, unlockable Bonuses, Scatters, 4 different Free Spins rewards, Multipliers ranging from 2x to 6x and thunderous Free Games. Wildstorm Feature: The Wildstorm is sure to catch you unaware as it randomly appears on your screen bringing with it a Free Spin and up to 5 Expanding Wild Reels. Depending on your luck you’ll see anything from 1 to 5 entire Reels turning Wild as Thor makes a special appearance when the feature initiates. The Great Hall of Free Spins: The most striking feature in terms of both entertainment and winning potential has got to be the Free Spins in Thunderstruck II. Whenever you strike 3 or more Scatters represented by the Bonus Hammer symbol you’ll be transported to the Great Hall where you’ll be able to dramatically increase your bankroll. After a certain amount of entries into the Hall you’ll be able to pick which chamber you prefer to spin in but only after you’ve travelled through all the chambers. Valkyrie’s Free Spin Bonus: The first Free Spins chamber you’ll come across in Thunderstuck II is that of Valkyrie where you’ll be able to claim 10 Free Spins with a 5x Multiplier. The first four times you enter the Great Hall of Free Spins will be through this portal, after that you’ll move on to Loki’s chamber. Loki’s Free Spin Bonus: The troublesome trickster Loki is guaranteed to meddle in your affairs with his 15 Free Spins. Then there is the chance of him interfering with his Wild Magic symbol that turns randomly selected symbols Wild in an effort to help you attain more wins. You can expect to enter Loki’s chamber from the 5th to the 9th trigger with Odin’s chamber following that. Odin’s Free Spin Bonus: On the 10th trigger of the Bonus, the Ruler of Asgard magnanimously bestows 20 Free Spins upon you. Once the feature initiates, Odin sends out his ravens to randomly fly into symbols turning them to 2x and 3x Wild Multipliers. An impressive 6x Multiplier can be achieved if both birds fly into the same symbol. Thor’s Free Spin Bonus: Only after you have entered the Chamber of Free Spins 15 times in Thunderstruck II will you be granted access into Thor’s chamber of storms where you can expect a tumultuous offer. Get your 25 Free Spins as well as Rolling ReelsTM that crumbles away when there’s winning symbols so that they can be replaced by potentially more winning symbols. The Rolling ReelsTM also features up to a 5x Multiplier on wins. Coin size ranges from 0.01, 0.02 and 0.05 with the number of coins allowed being 10. The minimum bet is 0.30 and the maximum bet being 15. If the gods are merciful you could stand in line to win a massive jackpot of 121,500. 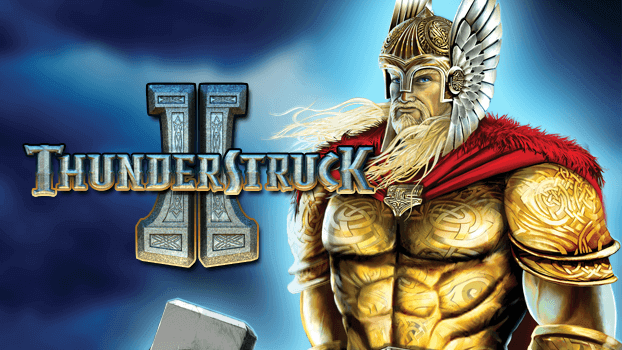 If you are a fan of all things Norse, or just are looking for one heck of a good time on a pokie, you’d better spin Thunderstruck II today. 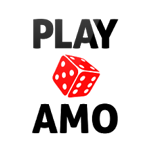 This is a phenomenal game and all are sure to enjoy the time spent on this real money online pokie for obvious reasons. The Thunderstruck Pokie franchise certainly shook the world on online casinos so do not miss out! I will gladly award this pokie 5 out of 5, mostly due to its inventive Free Spins features and the cornucopia of awesome additional features but also thanks to its amazing animation and graphics. If you’re looking for a reputable Slot that is both highly enjoyable and boasts great winning opportunities you really can’t go wrong with Thunderstruck II. For the best game in Australia and throughout the world, spin Thunderstruck 2 today!